"Layer Translator" is used to convert properties of layers to the standards that you define. If you have lots of drawings from your contractor or sub contractor which may not follow your layer standards and you need to convert each drawings, use “layer translator”. 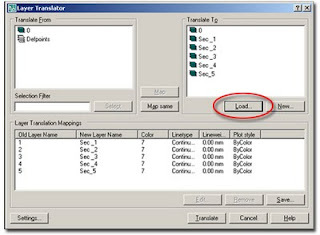 Pull down menu :Tools => Cad Standards => Layer Translator. Old Layer Status of a drawing which you got from the contractor. Now you will be able to see your current layer status on Translate From tab, Create a new layer by clicking "NEW" button or load and navigate to your standard template containing your stanadard layer list. 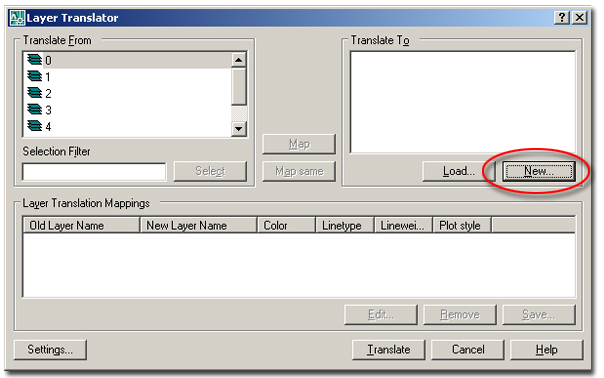 Type the new layer name and assign a new line type, color & line weight. 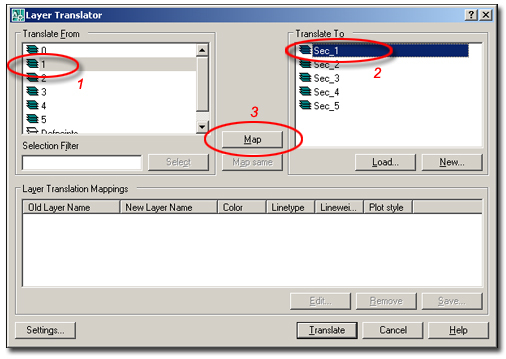 Map Each layers for that select layer from “Translate From”and then select new layer name from “Translate to” tab and after pairing click “Map” button. 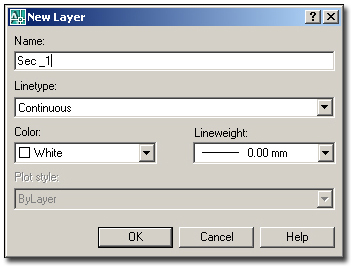 continue this process with each layer. 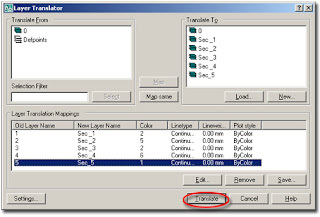 If you want to change more layers to one use "Ctrl". To map all the layers that have the same name in both lists - such as layer 0 and Defpoints - click "Map Same". 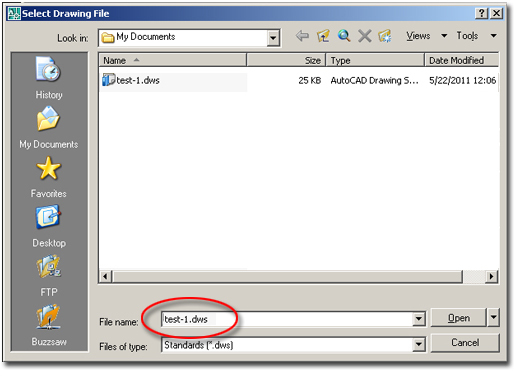 Save your layer translation mappings in dwg or dws format and reuse them with other drawings. Now Click “Translate” button to translate. 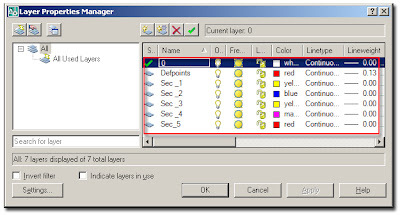 Now open Layer manager you can see that your layers are changed according to your standard. 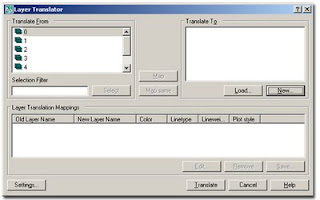 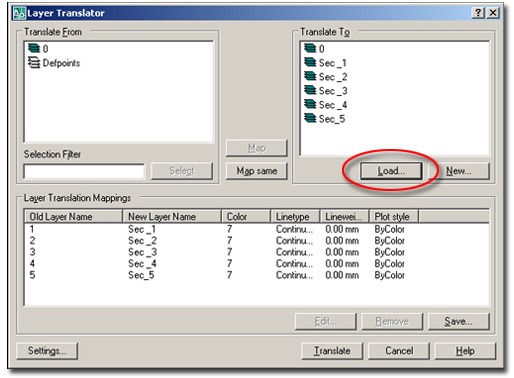 Open layer translator dialogue box and load the translation mapping file you saved. If you have additional layers, map them and save new .dws file or overwrite existing file. 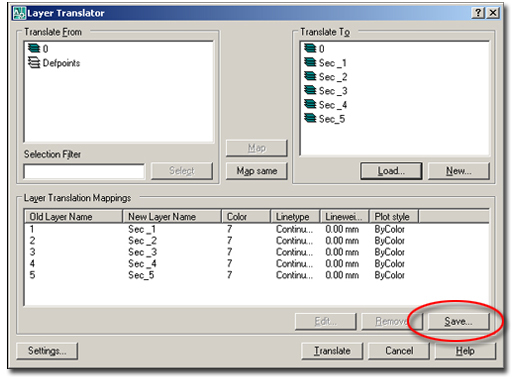 Then Click “Translate” button to Starts layer translation of the layers you have mapped. Great and unfortunately forgetten command!